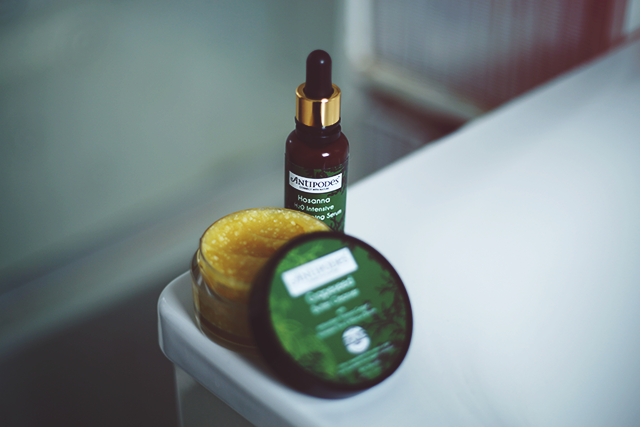 I was away so couldn't get this post up during the Organic Week, but luckily I finally have time to share my thought on the two amazing products from Antipodes. Antipodes is an Australian organic brand. I've had a chance to use Antipodes Honey Manuka Mask, it was such a great product! Need to re-purchase asap! Never expected that I'll be using a facial serum this early, I kept on thinking that their are only aimed at older women, my mistake. During summer my skin got really dehydrated, the Antipodes Hosanna H2O Intensive Skin-Plumping Serum is great at helping my skin to get back to normal. The applicator is really handy, the colour of the product isn't the best (browny), but once you apply it on the face it turns clear. My skin absorbs the product really fast! After using the serum I tend to apply my everyday cream. The serum is oil-free, that's a plus as you can use it in the morning. I personally love cleansing balms, as they don't dry out my skin. The Antipodes Grapeseed Butter Cleanser is a great to use as second cleanser. I wouldn't really say that it's amazing for getting rid of your mascara, but it will do the job with getting rid of foundation and other facial make-up. The cleanser contains soothing lavender and blue chamomile, which helps to calm sensitive skin as well as refresh and cleanse, while hibiscus bloom has gentle exfoliating action. It's very smooth, but it also contains exfoliating particles. I really love the texture! Great to use in the morning. This intensive cleanser is suited to most skin conditions, especially dry. 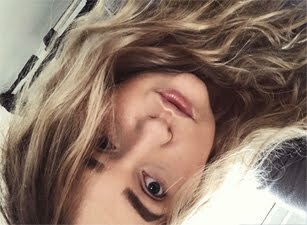 Overall I would definitely say that you should give Antipodes a go, as all products I've seem to try they work so well with my skin. Can't wait to try more from the brand. These products sound interesting, need to check them out. I'd love to try this as I'm a huge fan of oil free serums thanks for sharing your thoughts!